A Skycatch Explore1 drone, based on DJI’s Matrice 100 enterprise hardware. 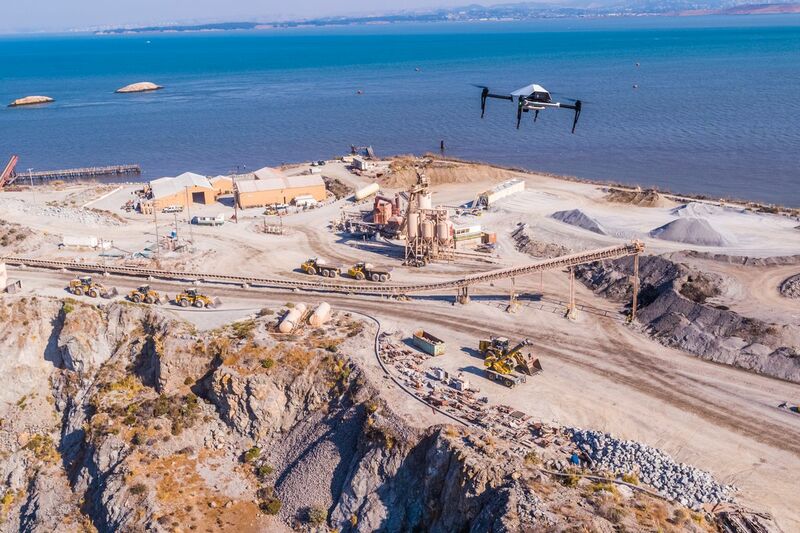 Image: Skycatch Gadget lovers helped the drone industry take flight, but its future looks to be more industrial, with increasing numbers of drones sold for tasks like surveying and inspection. A good example of this transition is DJI, which today announced its biggest single shipment of commercial UAVs: 1,000 drones running machine vision software from US startup Skycatch, all sold to Japanese construction giant Komatsu. The drones in question are all one model: the Skycatch Explore1. This is a semi-autonomous quadcopter based on DJI’s Matrice 100 enterprise UAV that uses machine vision to survey and monitor construction sites. It produces maps accurate to five centimeters and can help with tasks like monitoring stockpiles (e.g. how much cement or sand you’ve got left). In Komatsu’s case, the data produced by the drones will also be used to control its robot construction vehicles, currently under development. 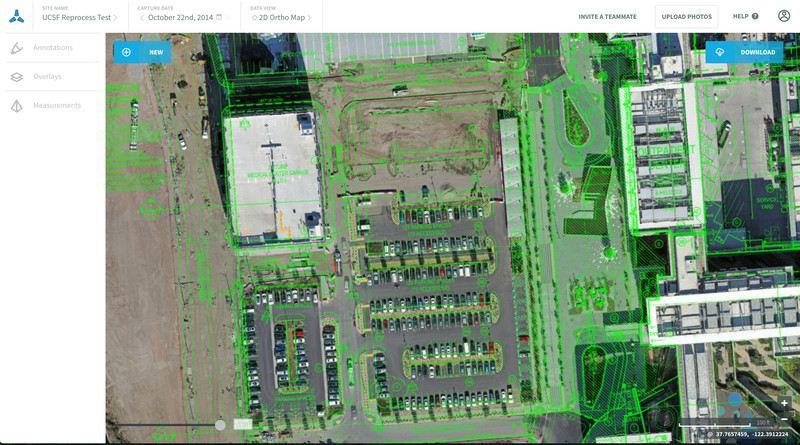 A screenshot of Skycatch’s drone app being used to map out buildings. Skycatch’s drones are either sold outright to clients or hired along with technicians. Although the company has its own set of machine learning algorithms that can recognize basic materials on a construction site as well as people and vehicles, customers can supply their own data to train new algorithms. The Explore1 drones also come with a base station, the Edge1, which takes care of image processing without the need for an internet connection. It’s basically a “cloud computer in a box,” says Sanz, and is needed for 30 percent or so of the 15 million active construction sites worldwide that don’t have an active internet connection.